Paul Ray Kemp Jr., a 40-year-old black man, was shot and killed by an Inglewood Police officer in the 3800 block of West 113th Street in Inglewood, according to Los Angeles County coroner’s records. About 2:53 a.m., police received a call of “unknown trouble” in the area and arrived to find Kemp in a fight with another man, according to a coroner’s report. Police asked the men to stop fighting, and Kemp ran east on West 113th Street. An Inglewood police sergeant ran after Kemp and into a frontyard where a fight ensued.The sergeant then pulled out his gun and fired at Kemp, who collapsed, according to the narrative in the report. Paramedics arrived and pronounced Kemp dead at 3:13 a.m. According to the report, Kemp had six gunshot wounds and had hit by a Taser. An officer was also shot in the hand and hospitalized. 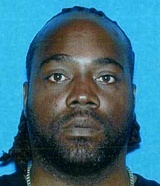 Anyone with information is asked to call Inglewood police at (310) 412-5240. Those who wish to remain anonymous can call Crime Stoppers at (800) 222-8477. Share a memory or thought about Paul Ray Kemp Jr. I would like to know what happened with this case. The article noted the man was shot by the officer followed by him falling down. Im curious how Kemp was shot a total of 6 times and tased! I noticed this article implied he was shot from behind yet another officer is shot in the hand! There's no mention of Kemp carrying or being found with a weapon so why such force. Lastly, why has the case gone unmentioned by our local news station. — Lopez Dec. 29, 2018 at 8:09 p.m.
— Kim July 7, 2016 at 1:53 p.m.
— Teaa Kelley Dec. 18, 2015 at 1:53 p.m.
Dont' run or fight with cops or this is how you could end up !! — speakdatruth April 16, 2015 at 12:22 p.m. Still we have no answers....Inglewood should be ashame....My Brorher was a good family member and friend... May we continue to seek justice. — Kemps April 14, 2015 at 11:58 a.m.
Amen Deanna, finally someone on here with truly wise words, I'm a 48 year old black man living in south L.A, I've had run in's with the police in my youth and they all ended well because I didn't give them any reason to want to hurt me, but some people just can't deal with authority, and that never ends well. — Mike B Dec. 30, 2014 at 7:31 p.m.
i'm sad to see bandit,Mr Kemp an many others go in this way. he was a good man i knew him when we was kids him an barney. the truth is this will never stop only get worst. we are living in the end times thank god Mr kemp was right with the almighty GOD. he's in a better place now he doing better then we are, we will miss him badly but the thing is , it's hard to live in the world where the devil is the king of the world...RIP to paul, timothy jr. for the lord has you guys now...soon we will all be laughing an never have a memory of this day..when the lord come an make the evil one's burn in the lake of the fire. and for those who speak with that sword of a tongue about the dead remember what go's around come's around in the devil world so be careful of what you say becus our words are curse...my god bless us all. — THE END OF THE WORLD Aug. 21, 2014 at 5:33 p.m. It isn't only the cop that has his head up his rear end, but the idiot who challenges the cop holds just as much responsiblity. The difference being...the cop got training and can shoot with a more steady hand. The idiot pulls the triger and hopes to hit something. I still want that cop on my side...not the idoit who will pull the trigger on anyone. — Deanna Aug. 19, 2014 at 8:43 p.m.
You know what disgusts and infuriates me to my core is the fact that most of the recent killings not only in L.A but in other states (St.Louis), are all either African American or Latino men. Predominately "Black", being that is the derogatory term they choose to reference to us as, and is done so by white or Europeans as they are police officers. This deeply saddens me that once again, another young mans life has been taken due to police brutality and the lack of proper procedures being used to apprehend these "so called" suspects. Not at all ever being in or in attendance to an academy, but my educated guess tells me that you are no taught to aim or shoot to kill unless your life is being threatened, but you're to aim to stop or TEMPORARILY terminate their ability to move. Not to permanently kill them in which has happened on numerous occasions in the last month. Not only does the police force hire criminals as they have been doing that I know of since 2000, but they hire young boys that do not always follow proper protocol and who are scared at the sight of any signs threat whether it be words of profanity or an unarmed man simply complying to polices orders and in which are still being killed for simply doing what we call "officers of the law" are telling them. So my question now is not is the deceased victim that they call "suspect" actually the suspect in this matter? But is the one that's job is to protect and serve the community and the one that should be awaiting trial for murdering innocent men and children and actually getting away with it the real suspect? They got away with it in the Treyvon Martin case and with the killing of Oscar Grant who was clearly no threat in handcuffs. Are they going to let them get away with it again, and again and again. Now if the tables were turned and it was an African American man killing a white cop, it's sad to say that we would probably be dead or awaiting execution. I don't believe their are enough apologies in the world to fill any mother, father, or family members void of not having their loved one anymore. I can;t say I blame any of the protesters or people deemed bad for wanting justice, or even revenge for that matter. I would, indefinitely. — Lisa Aug. 18, 2014 at 6:57 p.m. The coroners said that Paul Ray Kemp was fighting. Really he had a fight or is it the police did it fought him. Questions we need answers police are not keeping it 100. I dont believe nothing the police say anymore. Police are being film ALL over the world and it clearly shows that they are not following the protocols. Police is killing our love ones cold blooded in the streets WHY Six Bullets. WHY SOOOOO MANY TIMES. THAT PART. PAUL RAY KEMP DID NOT DESERVE TO BE SHOT 6 TIMES IN HIS BACK. WHY NOT MENTION THAT PART HE WAS A GOOD PERSON JUST TRYING TO GET HIM SELF TOGETHER FOR THE BETTER I MISS MY BROTHER-IN-LAW. — annette jones Aug. 18, 2014 at 12:17 p.m.
— rosemary davis Aug. 15, 2014 at 10:38 a.m. When will WE as a people stop begging this system for justice, one day we will get the kind of guts arabs have and start retaliating against whoever causes harm to you or your loved ones! The police are a GANG who can kill with no remorse or worry about retribution, so one or two things will have to happen, either they start killing whites in the same manner they kill us or we start dealing with these bastards ourselves, I don't care WHO harmed you he/she should feel the same hurt as you, I'm still waiting for Trayvon Martin's dad to give zimmerman his just due! It's time for some serious getback, stop worrying about "snitchin". that shyt only applies IF you are living a criminals life, these fools need to be taught a lesson, white, black, I don't care, stand up for your people! — Sleeper July 31, 2014 at 9:15 p.m.
No not ironic more like poetic justice. — Don't care either July 24, 2014 at 6:09 p.m.
Paul Kemp got killed by two "BANDITS" with a badge. Isnt that ironic. — Careless July 24, 2014 at 10:21 a.m.
Was Paul Kemps Jersey number 52? and didn't he play for the for the hoover losers. Yea thats him i remember now. i remember when Paul, and kevin hicks aka lil Barney, and Eddie Chile, Aka Valentine, and David aka LIL Kaos, and Andre Aka tiny Dre dog all used to play ball around the Naybahood. the Losers against the Careless youngstas. i remeber Pookie would come around and play ball. trying to bully his way around tha Naybahood, until we put him out tha game cause he wasnt playin fair. and Lil Fat Rat tried to play too but he couldnt hang wit the new youngstas in the Naybahood. then Marvett woud come suckin on her lolly pop wanting to play "Hide and go get it" and she did get it. Those were the days. — Careless July 23, 2014 at 12:11 p.m. The Morningside Park Chronicle is an Inglewood-based community newspaper seeking witnesses, family members and friends for comment. The Chronicle has covered every homicide in Inglewood since current IPD chief Mark Fronterotta was appointed in January 2013. — Randall Fleming July 19, 2014 at 5:03 a.m. I am confused? If he did not have a gun who shot the cop in the hand? Was he out alone? And if no report has been released how do we know he was handcuff when shot in the back three times? Were the cops called on him or did they just roll up on him? I need more information... Has the officer made a statement yet? The family might need to have an attorney with their own investigators look into this matter further..
— confused July 18, 2014 at 8:17 a.m.
We need justices! no matter who u are, no man or woman neither a child deserve to be tooken off the earth with no justification. These cops now days are going too far. Once u take a life u can not give it back, so with that said "cops need to react in a professional way in what their trained to do not shoot someone in THE back 3 times with hand cuffs". As Paul Ray Kemp family we will NEVER give up! justices is what were asking for. — Annette Jones July 14, 2014 at 6:32 p.m.
His sister Angel is my co worker! I'm sad for her loss. She has pictures of him at her desk. My condolences to Angel Kemp and family. Prayers UP! — Co worker July 10, 2014 at 8:02 p.m.
— Dominique Watson July 9, 2014 at 3:14 a.m.
Paul Ray Kemp 40 was loved by many he loved his family and friends our heart hurt for an answer WHY?. SHOT THREE TIMES IN HIS BACK BY THE POLICE WITH HAND CUFFS. WOW! UNBELIEVABLE, we as his family need JUSTICES Paul was a father of two, Brother, and a twin. — Annette July 8, 2014 at 2:33 p.m.
What happened? dude a gang banger ? — Tofu July 8, 2014 at 10:21 a.m. The unfortunate truth is this. If you have a weapon and out at 3am being confronted by the police, 9 times out of 10 your dead in LA county area. It is sad but true. It's not right but it's the truth. To any brother out there, if you see the police, just raise your hands up, don't put your hand sin your pocket for nothing and if you do have anything in your hands, please immediately drop it if you value your life. Dirty cops out there. One more thing, make sure if you do have a gun, make sure it's legal because they will justify their shooting because you have a gun without a permit. Damn police! — Lukaea July 8, 2014 at 1:09 a.m.
— Ashley Larry July 7, 2014 at 9:35 a.m.
— Charron Martin July 6, 2014 at 2:12 p.m.
— Teaa Keey July 6, 2014 at 1:47 p.m.